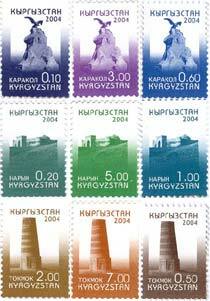 ..:: Postage stamps of the Kyrgyz Republic 2004 ::..
Special small sheet of 8 stamps. 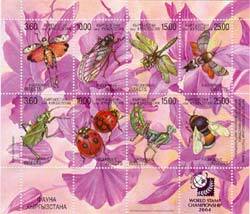 Date: 21.05.04, qartblocks of 4 stamps. 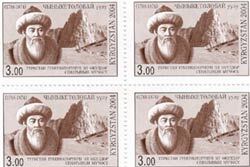 Issue in qartblocks of 4 stamps. The fifth standard issue. The regional centers of Kyrgyzstan. 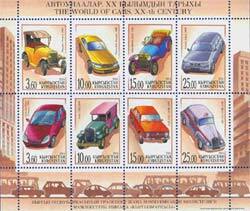 Date: 06.07.04, series of 9 stamps. 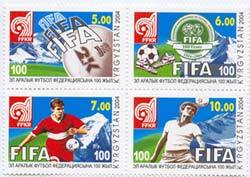 50 years of the national academy of sciences of the Kyrgyz Republic. 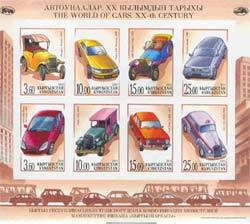 The sixth standard issue. Fauna. Shumkar. 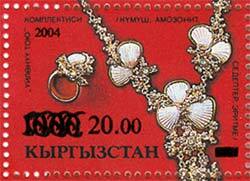 Begin of series.